Idlewild Dam | Austin Engineering Ltd.
AEL completed the redesign of the City of Cranbrook’s municipal reservoir and spillway at the Idlewild dam. Multiple design options that were created to ensure the municipality was able to understand the layout possibilities before detailed design and construction. 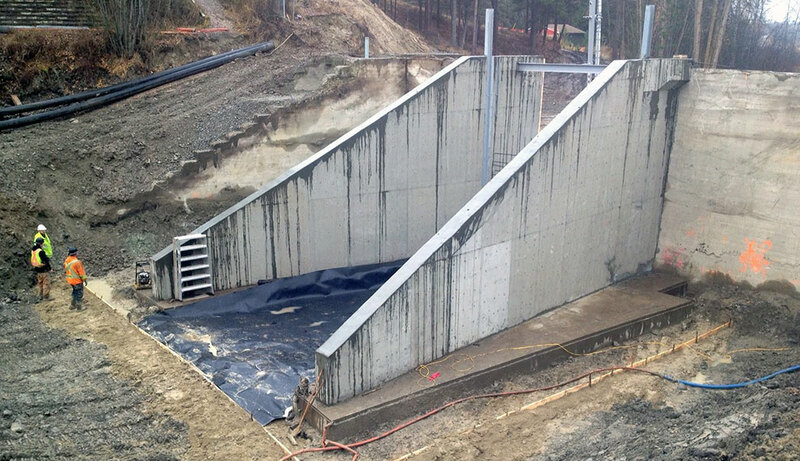 Reduced concrete and formwork costs as a result of considering and choosing an unconventional ogee spillway design. Time saved on the overall project by testing 3D printed models in our hydraulic modeling lab. Improved regulatory approval review process resulting from better project understanding. Improved environmental considerations, such as fish ladders, were studied and modeled within the spillway design, leading to increased stakeholder buy-in.